Are you ready to try something fun this June? Flair has a viral competition this June and 2 lucky winners would emerge. 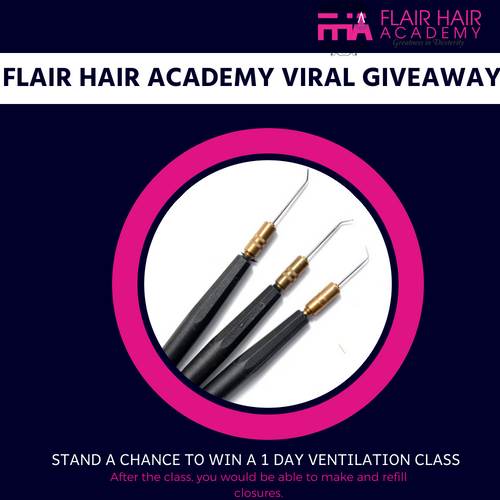 Compete to stand a chance of winning a free 1 day ventilation class. At the end of the class, you would be able to make a closure from scratch, ventilate and also carry out refills all FOR FREE! 2 peoples lives and businesses is positioned to change for good. Click on the Gone Viral post below and follow all the instructions to enter the competition. You would receive an email after entry with your unique link. Click on your unique link to confirm your entry( that is the only way your entry is CONFIRMED). 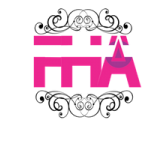 Follow @flairhairacademy on instagram and facebook. Post the competition flier on your social walls and mention @fairhairacademy. Share your unique link with your friends to get more entries for you and increase your chances of winning the draw. Winners based outside Lagos, Nigeria have within 4 weeks to redeem their prize or forfeit it.